Hello everyone! My name is Leo and I am a registered Therapy Dog through ITA/HPHP. I used to be a Police Dog when I was a puppy but I got fired because apparently I am not aggressive enough. Now I am trained to comfort patients by sensing signs of stress, anxiety, pain, or uncomfortable situations. I love belly rubs, treats, and kisses (if you’re in to that kind of thing). 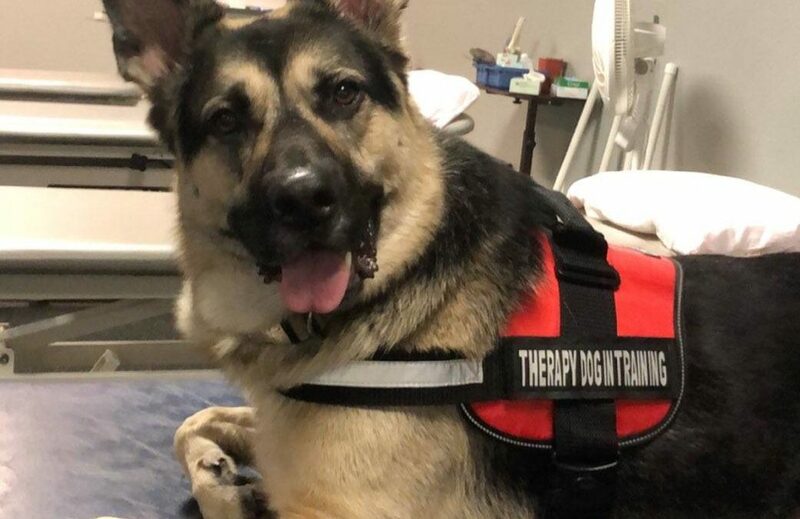 You can catch me at Aspire Hospital-Center for Rehab with my owner and handler, Riley, the PT technician.